This GTW title is an unfortunate title which never got released for all the wrong reasons. Simon Birrell was just finishing university at the time, and he completed a multiscreen Arkanoid clone called "Slideways". He sold it to Cascade, who came to visit him in his room at Cambridge "to make some changes", as Simon said. Basically, Cascade went away and re-wrote the game and published it as "Traz". They gave no credit or royalties to Simon for his hard work, but they did pay him an advance. At the time it annoyed Simon a lot, as all of his hard work went unrecognised – but sadly what was done was perfectly legal. So the game Traz which you see today, should have been ever so slightly different, called "Slideways" and have the credit of a Mr S Birrell. However as a present from GTW for 2009 we by pure chance came across a development disk with a few titles on that also included a frozen version of Slideways. And there it was in its full glory! The game somewhere includes a level editor tucked away, but we haven’t discovered it yet. But as you will see from the game, it is scarily like Traz and the inspiration is there to be seen. And its not a bad little game. 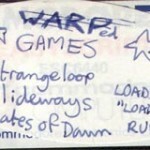 Parts of the code were used in the unreleased Groovy Electric Death game which was found a while back by Simon Birrell. Just shortly after the release of Slideways, Ian Coog helped fix up a defrozen version of the game with trainer. This version is also included with the above download! A great Breakout clone finally found… Case closed! 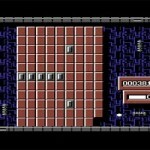 "In my final year at university I wrote a C64 game to earn some money called Slideways. 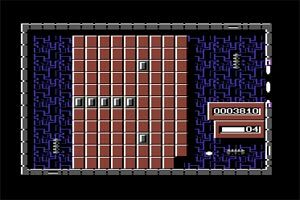 It was a sort of multi-screen Arkanoid, with a game editor built in. I sold it to a company called Cascade, who came to visit me in my room at Cambridge "to make some changes". In the end they re-wrote the game and published it as "Traz", without giving me a credit or royalties. I was angry at the time, but at least I got paid an advance which kept me in beer money. After university, and partly to revenge myself on Cascade, I used the same code-base to write a new game called "Grovy Electric Death", along the same lines. By this time however, the market had changed and no-one was interested. I may still have it on a C64 floppy somewhere, but I have no means to read it."